Clara Moto first stepped into the spotlight with her stunning debut album 'Polyamour' on InFiné in 2010. Intimate and fragile, yet all the while joyful, witty and immediate, the album offered a fresh, intelligent and decidedly female take on the predominantly male genre of techno music and received wide-spread praise throughout the music press. Now, three years later, Clara returns with her second full-length, an album that is every bit as close up and personal as her debut, but at the same time more intricate and thoughtful, more introspective and melancholic than its predecessor. 'Blue Distance' is named after a line from a poem by Sylvia Plath and circles around the theme of remoteness. It is inspired by Clara's own experience of frequent relocation and travel, but also by the distance that a musician feels separating her from her listeners, and the constant longing – and ultimate impossibility – to bridge this gap with one's work. 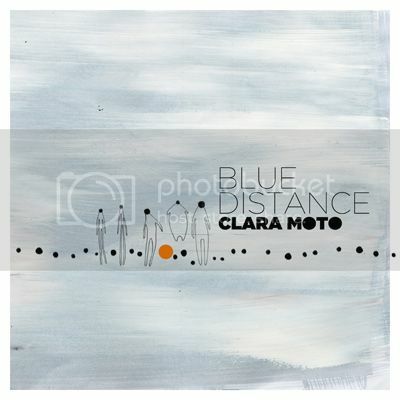 Clara Moto`s Blue Distance is out this week in every good physical and digital retail stores. Where to listen … ? Where to meet … ? Where to buy … ?